Kristin •November 13, 2015Fantasy, Horror, Must Reads, Paranormal, Sci Fi, Steampunk, Urban Fantasy, Young Adult, Zombies! Here are the books that I’m especially looking forward to in SFF and Horror for December (so, SO, much awesome)! What are you looking forward to? 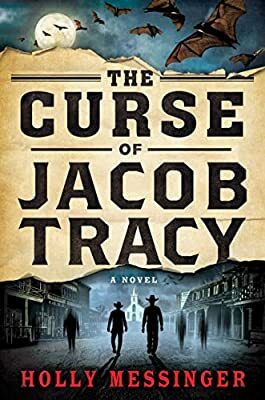 Synopsis (all synopsis are from B&N or Amazon)-St. Louis in 1880 is full of ghosts — mangled soldiers, tortured slaves, the innocent victims of war — and Jacob Tracy can see them all. Ever since Antietam, when he lay delirious among the dead and dying, Trace has been haunted by the country’s restless spirits. The curse cost him his family, his calling to the church, and damn near his sanity. He stays out of ghost-populated cities as much as possible these days, guiding wagon trains West with his pragmatic and skeptical partner, Boz. Then, just before the spring rush, Trace gets a letter from the wealthy and reclusive Sabine Fairweather. Sickly, sharp-tongued, and far too clever for her own good, Miss Fairweather needs a worthy man to retrieve a dead friend’s legacy from a nearby town — or so she says. When the errand proves far more sinister than advertised, Miss Fairweather admits to knowing about Trace’s curse, and suggests she might be able to help him — in exchange for a few more odd jobs. Trace has no interest in being her pet psychic, but he’s been searching eighteen years for a way to curb his unruly curse, and Miss Fairweather’s knowledge of the spirit world is too tempting to ignore. As she steers him into one macabre situation after another, his powers flourish, and Trace begins to realize some good might be done with this curse of his. But Miss Fairweather is harboring some dark secrets of her own, and her meddling has brought Trace to the attention of something much older and more dangerous than any ghost. Synopsis-History is storytelling. But some stories remain untold. In fifteenth-century Italy, Paolo Uccello recognizes the artistic talent of his young daughter, Antonia, and teaches her how to create a masterpiece. The girl composes a painting of her mother and inadvertently sparks an enduring mystery. In the present day, a copyist painter receives a commission from a wealthy Chinese businessman to duplicate a Paolo Uccello painting. Together, the painter and his teenage daughter visit China, and in doing so they begin their escape from a tragic family past. In the twenty-second century, a painting is discovered that’s rumored to be the work of Paolo Uccello’s daughter. This reawakens an art historian’s dream of elevating Antonia Uccello, an artist ignored by history because of her gender. Stories untold. Secrets uncovered. But maybe some mysteries should remain shrouded. Synopsis-Not bound, as a book. Free. 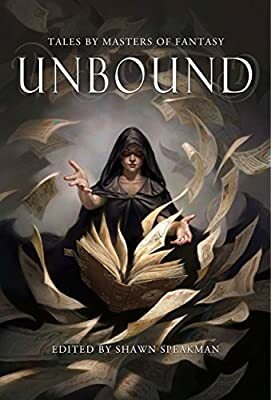 Like Unfettered before it, the contributing writers of Unbound were allowed to submit the tales they wished fans of genre to read—without the constraints of a shackling theme. The result is magical. 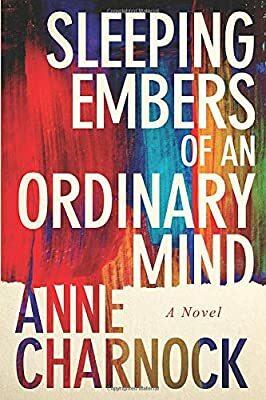 Twenty-three all-original stories are sure to captivate you—some will move you to tears while others will keep you turning the pages long into the night. The power of Unbound lies in its variety of tales and the voices behind them. If you are a fan of discovering new writers or reading the works of beloved authors, Unbound is for you. Synopsis-A snow storm of epic proportions shuts down the town of Sheridan, Michigan. The weather is dangerous enough on its own. But the bad weather has blown something even deadlier into town, and a duo of sadistic killers is on the loose. No one thought much about the storm. Not the National Weather Service and not the big-name meteorologists. Experienced local weatherman Wally Wellman thought there might be trouble, but even he couldn’t predict the natural disaster that was about to lay siege to the quiet suburb of Sheridan, Michigan. Now, with resources stretched to their breaking point, Sheridan police officer Mike Stuart must try to keep the town safe. But there something is lurking in Sheridan. Something as cold as the snow and ice, and just as deadly. A pair of escaped convicts, on the run south, have been stranded in town. But they don’t plan on laying low. 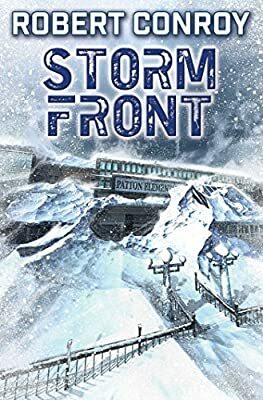 And as the death toll rises, Officer Stuart must face down enemies far more dangerous —and unpredictable—than any storm. 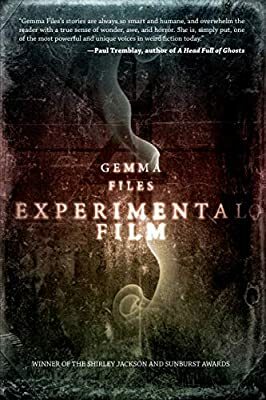 Synopsis-Experimental Film is a contemporary ghost story in which former Canadian film history teacher Lois Cairns-jobless and depressed in the wake of her son’s autism diagnosis-accidentally discovers the existence of lost early 20th century Ontario filmmaker Mrs. A. Macalla Whitcomb. By deciding to investigate how Mrs. Whitcomb’s obsessions might have led to her mysterious disappearance, Lois unwittingly invites the forces which literally haunt Mrs. Whitcomb’s films into her life, eventually putting her son, her husband and herself in danger. Experimental Film mixes painful character detail with a creeping aura of dread to produce a fictionalized “memoir” designed to play on its readers’ narrative expectations and pack an existentialist punch. Synopsis-Twenty years ago, venomous parasitic wasps known as “thieves” staged a massive, apocalyptic attack on another species—Homo sapiens—putting them on the brink of extinction. The second book in the Alchemy Wars trilogy by Ian Tregillis, an epic tale of liberation and war. Jax, a rogue Clakker, has wreaked havoc upon the Clockmakers’ Guild by destroying the Grand Forge. Reborn in the flames, he must begin his life as a free Clakker, but liberation proves its own burden. 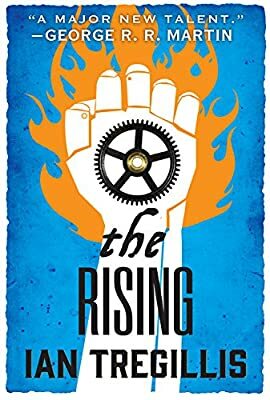 After uncovering a mystical link to the ancient civilization of Galderkhaan, child psychologist Caitlin O’Hara is left with strange new powers. Suddenly she can heal her young patients with her mind and see things from other places and other times. But as she learns more about her powers, she also realizes that someone is watching her, perhaps hunting her—and using her son to do it. Meanwhile Mikel Jasso, a field agent for a mysterious research organization, is searching for Galderkhaani ruins in Antarctica. 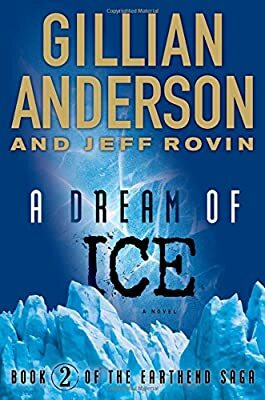 After falling down a crevasse, he discovers the entire city has been preserved under ice and that the mysterious stone artifacts he’s been collecting are not as primitive as he thought. As Mikel and Caitlin work to uncover the mysteries of the Galderkhaani, they realize that the person hunting Caitlin and the stones may be connected in ways they never knew possible. 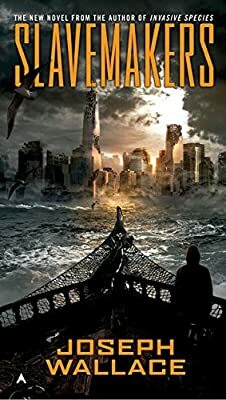 “Fans of Douglas Preston and Lincoln Child will find a lot to like” (Publishers Weekly) in the Earthend Saga, and this latest adventure is sure to leave you gasping for breath as Caitlin races against time to save what’s dearest to her heart. The girl who said no to death. Bibi Blair is a fierce, funny, dauntless young woman—whose doctor says she has one year to live. Her sudden recovery astonishes medical science. An enigmatic woman convinces Bibi that she escaped death so that she can save someone else. Someone named Ashley Bell. But save her from what, from whom? And who is Ashley Bell? Where is she? 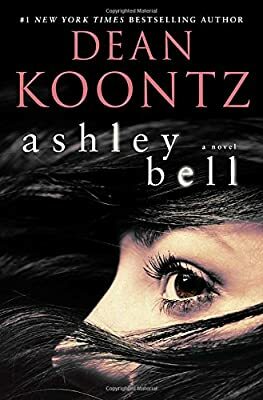 Bibi’s obsession with finding Ashley sends her on the run from threats both mystical and worldly, including a rich and charismatic cult leader with terrifying ambitions. 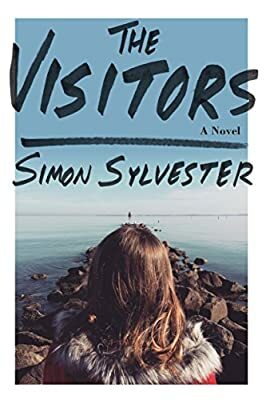 Here is an eloquent, riveting, brilliantly paced story with an exhilarating heroine and a twisting, ingenious plot filled with staggering surprises. Ashley Bell is a new milestone in literary suspense from the long-acclaimed master. Nobody comes to the remote Scottish island of Bancree, and seventeen-year-old Flora can’t wait to move to the mainland when she finishes school. So when a mysterious man and his daughter move into isolated Dog Cottage, Flora is curious. What could have brought these strangers to the island? The man is seductive but radiates menace, while Flo finds a kindred spirit in his daughter, Ailsa. Meanwhile, several of the men on Bancree have disappeared, unnerving the community. When a body washes ashore, suspicion turns to the newcomers. But Flo suspects something else, even though it seems impossible: She asks local residents for anything they know about”selkies,” the mythical women who can turn from seal to human and back again. Convinced of her new neighbors’ innocence, Flo is fiercely determined to protect her friend Ailsa. Can the answer to the disappearances, and to the pull of her own heart, lie out there, beyond the waves? 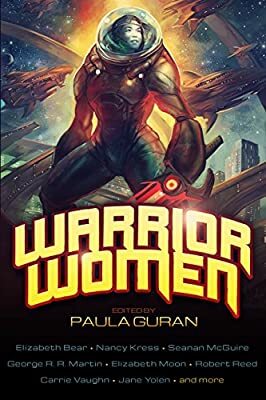 How ’bout some kickin’ Kindle Deals?? Great list, always up for new Gemma Files.